Just an FYI, I have started creating the rafflecopter for the 700 Follower Giveaway, I just need to get the pictures taken. 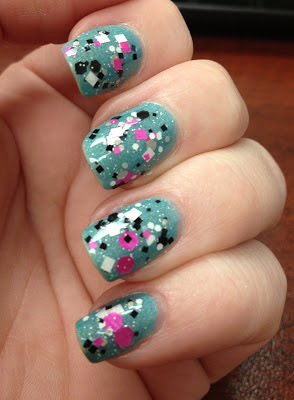 Until then...here's the mani I currently am wearing. 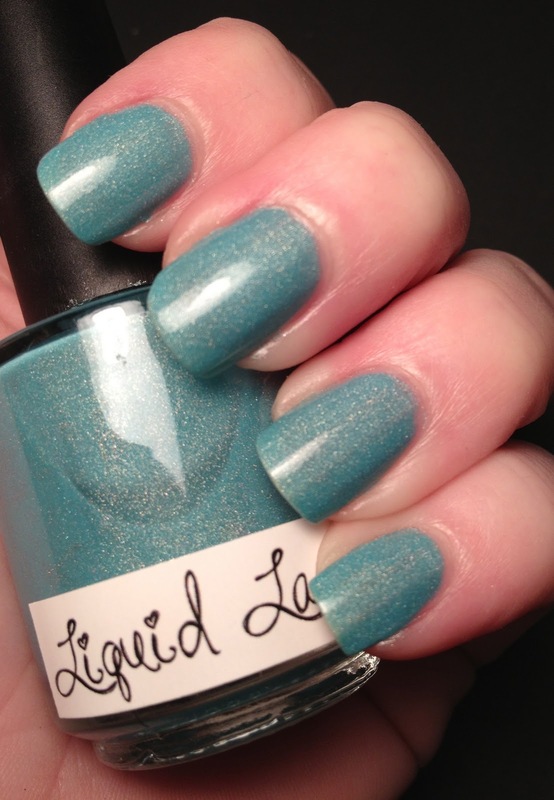 Today's mani showcases two more Liquid Lacquer polishes. In case you haven't figured it out, I have a thing for Melissa's creations. 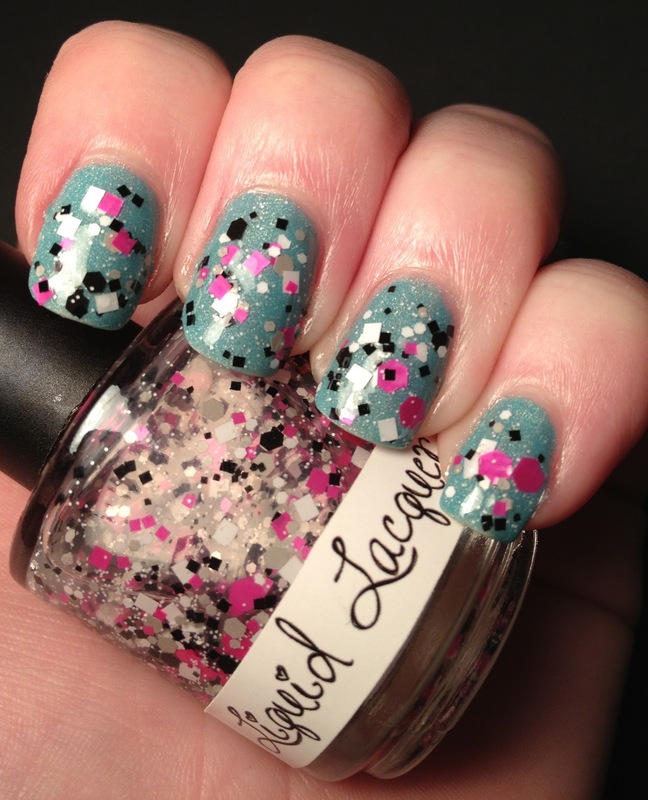 They are never boring, run of the mill polishes. Her stuff always has pizzaz . 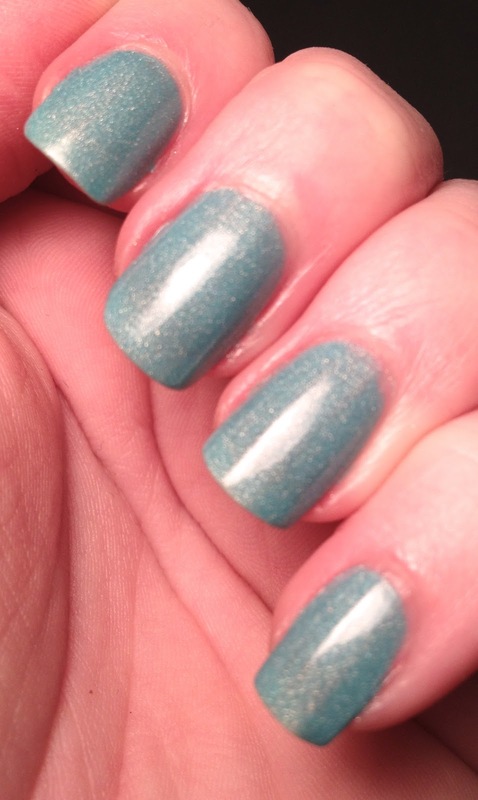 I started this mani off with one coat of Orly Bonder and three coats of The Rain Song. 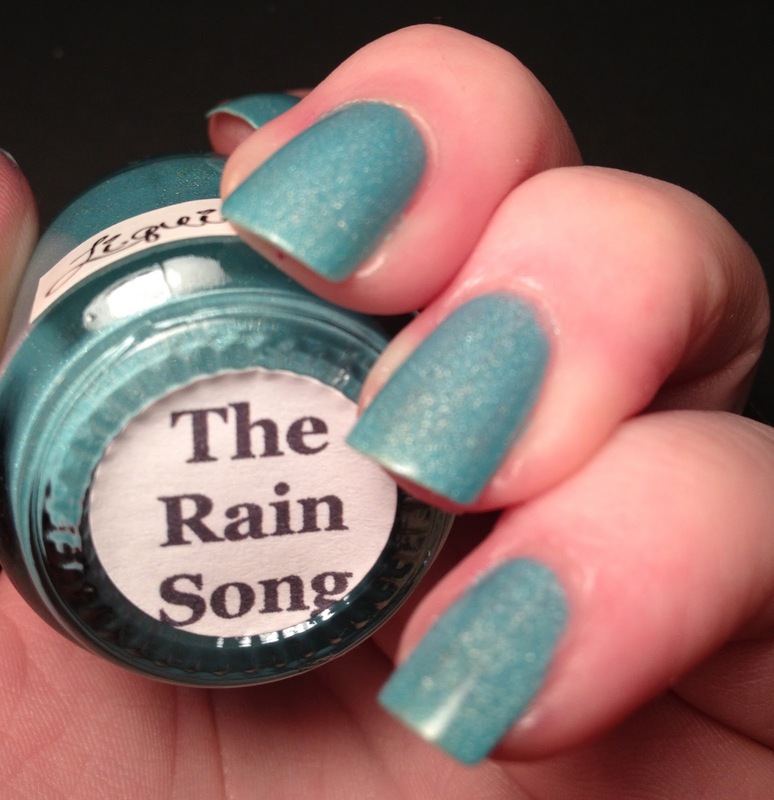 The Rain Song is a lovely turquoise polish that is slightly holographic. It is so beautiful on its own. I almost left it alone, but of course I couldn't help myself. I had zero issue with application and so far it's also wearing great. I am on day three wearing this and I have no chips or tip wear. Now onto the glitter....on top of this I added two coats of Pink Elephant. 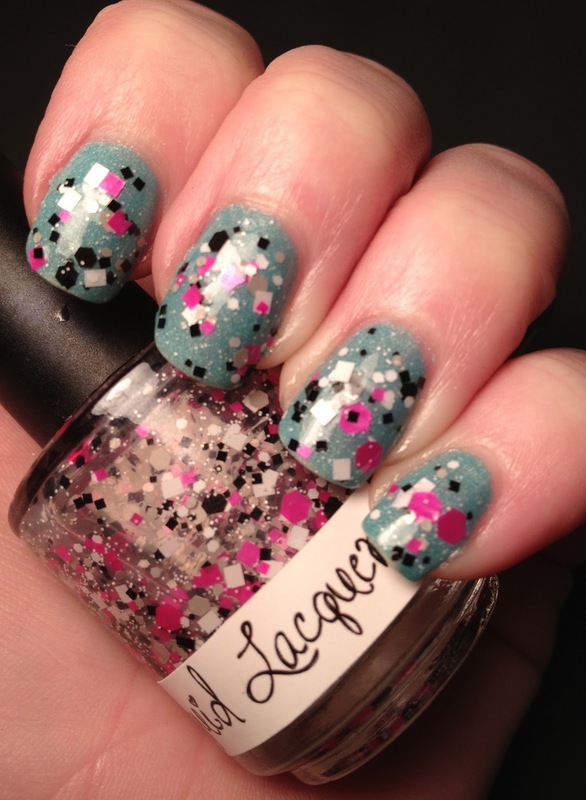 This polish is a glitter topper that consists of grey, white, black and pink squares and hexes in many shapes. I adore this color combo. I had a hard time deciding on what to put this on top of, it just looks good on top of everything. What do YOU think of this mani? Should I have left it alone or do you like to put glitter on everything too?